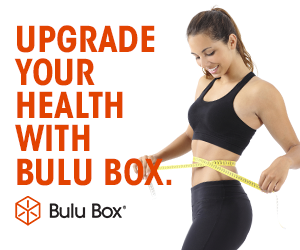 Bulu Box: Bulu Box Deals – Including A Special Monthly Deal! For as little as $10 or less a month you receive 4 to 5 weight loss items! Some of the aides may be in the form of vitamins, supplement samples, or fitness instruments! You can either select the Weight-loss Box (which I subscribed to) or the Bulu Box for your subscription and alter them at any time! A great plus to the box is their point system which allows you to redeem points for full size products, which just for reviewing you can get up to$5 to $6 to redeem for full sized purchases! What do you think about this special promo from Bulubox? ← Loot Crate: The Gears of War are turning!